Our first order of business, to meet our new friend, Roie. During our planning, we discovered a lighthouse, not just on the coast, but on an island in the sea. Clare Island Lighthouse. Located off Ireland’s west coast, it sits in the midst of Clew Bay. It has seven rooms for rent; anyone that is available (no matter the view or price) will do, we agreed. We inquired, but much to our dismay, it, like many other accommodations throughout Ireland, is closed for the winter. Roie, the owner, could tell our hearts were broken, so she did the next best thing; she invited us to her house. Long story, short, our arrival was bad timing for her, so in the midst of her busy schedule, she met us at our hotel for tea. She lives in Murrisk, at the foot of Croagh Patrick on the mainland, and ferries from Westport to her property on Clare Island. Her last time to Clare Island to check on the lighthouse – a few weeks back – met with storm force winds; however the lighthouse was intact. Since there are friends that call the island home, she met with some 20 island women celebrating Nollaig an Mban (Women’s Christmas), an old Irish custom where women take the day off and celebrate together after all their hard work at making Christmas perfect for everyone else. I’m beginning to like how the Irish women think. We have a splendid conversation over tea and biscuits. She tell of her plans to open an additional property in Westport, and another in Dublin. She is creating more escapes for the Irish and English who seem to be the majority of travelers. A few Americans, she says; I am determined to change that. Westport is a city that requires more time; however, we’re on a schedule. We detour to the two most famous historical sites; Crough Patrick and the Great Famine Memorial or The Coffin Ship. We miss Ashford Castle, Connemara and the Aran Islands that lie to the west of us; next time, we promise. Heading toward the marina in Westport, we see Crough Patrick (Cruach Phadraig). 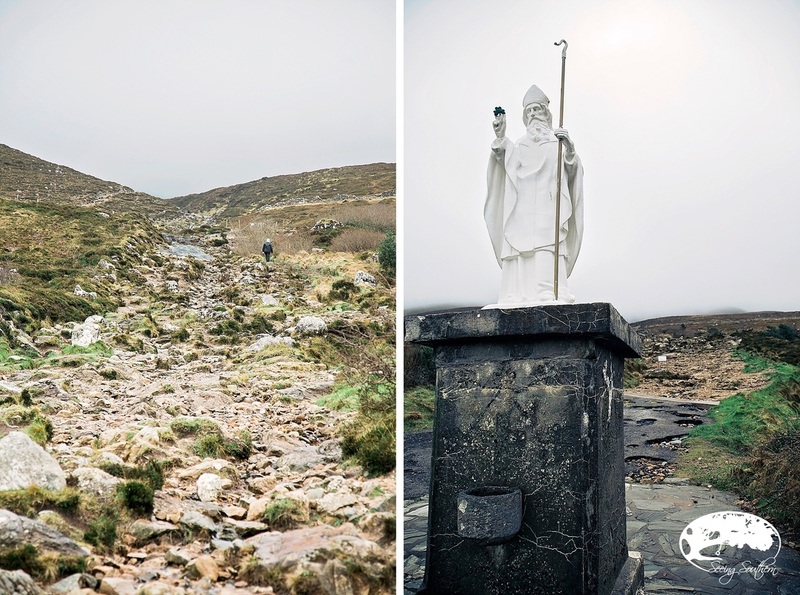 One of the most sacred destinations in Ireland, this holy mountain’s summit is where St. Patrick fasted for forty days in 441 AD. Pilgrims have flocked to climb the mountain (locals call it The Reek because of its conical shape), to honor their saint. 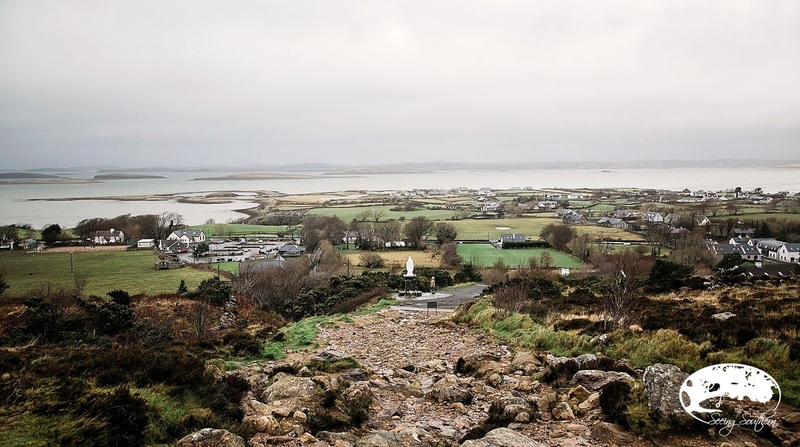 At the top (a 4-mile rugged hike roundtrip), a modern chapel where mass is celebrated and confessions heard; at its base, a statue of St. Patrick erected in 1928 that looks out onto Clew Bay. Today, we hear songs and Hail Mary’s from a group of young people in the parking area. They are preparing for their pilgrimage to the mountaintop. Across the street is Ireland’s monument to those who died en-route from Ireland to what they hoped would be life without hunger and famine. When the Irish tell you of their homeland, they always speak of two numbers: pre-and-post famine. A million died; two million fled.The sculpture is of a ship – a coffin ship – whose boards and sails are actually skeleton bodies, of refugees hoping that the ship would take them to a new life in The New World. The overcrowded ships in the 1840s, however, became coffins. The silence is ominous. From the mountaintop to the depths of despair. 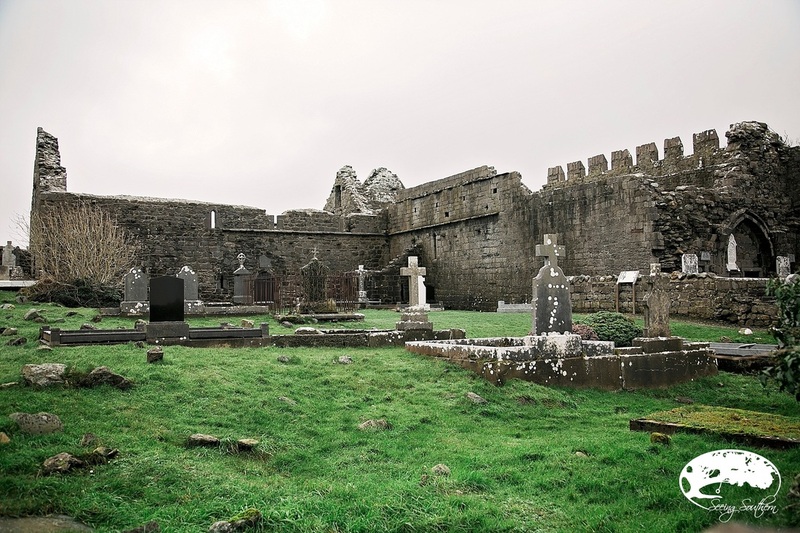 Near the bay, there’s Murrish Abbey, the ruins of a friary dating back to the 16th century. We say goodbye to this part of Ireland, heading north toward County Donegal and Donegal Town. Our daughter and her family are waiting, and there are babies to hug. We spend two days in Donegal, and then head south toward Dublin for our flight home. First, our curiosity points us toward the Guinness Storehouse in downtown Dublin; it’s a definite tourist stop, full of all the tourist trappings made undeniably attractive by the pint at the end of the tour. Save the 20 euros (for there’s little authentic history here) and visit a quaint pub full of music, laughter, and yes, a pint. No matter where you do in this world, start a conversation. With a friend or with a stranger who will become your friend. We plan on learning more about Roie and her lighthouse, her hospitality and her Ireland. Never pass a bakery in Ireland. Once you climb even a part of the way up the mountain, you experience the view of Clew Bay and surrounding south County Mayo. When you enter the park to stand beside the Coffin Ship memorial, there are signs asking for reverence and honor. A friary (below) sits against the shoreline of Clew Bay, just behind the Coffin Ship memorial. William Butler Yeats was an Irish poet whose final resting place is just to the side of the front entrance of Drumcliff Cemetery. His grandfather has been the rector here from 1811 - 1846. 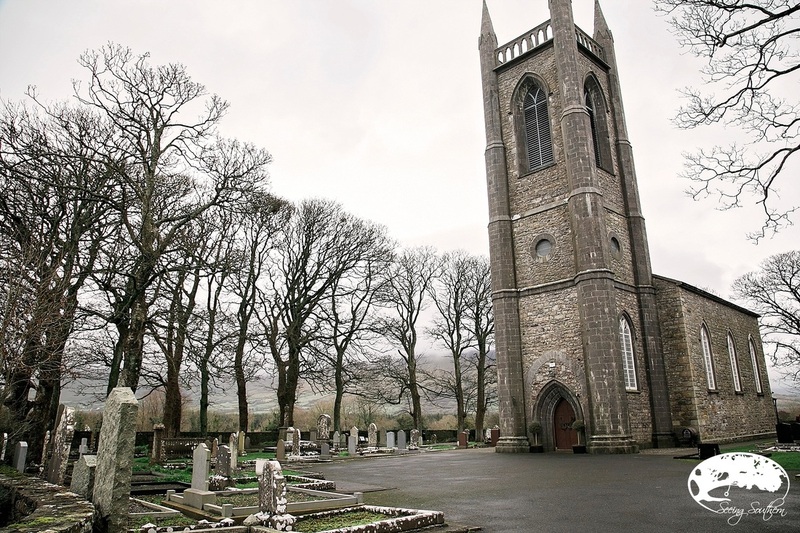 Yeats died in 1939 and was buried in France; however, his body was exhumed and brought back to Drumcliff in 1948. As requested in his last poem, he was buried within sight of Ben Bulben (a mountain nearby). County Donegal and Donegal Town - a welcome sight. 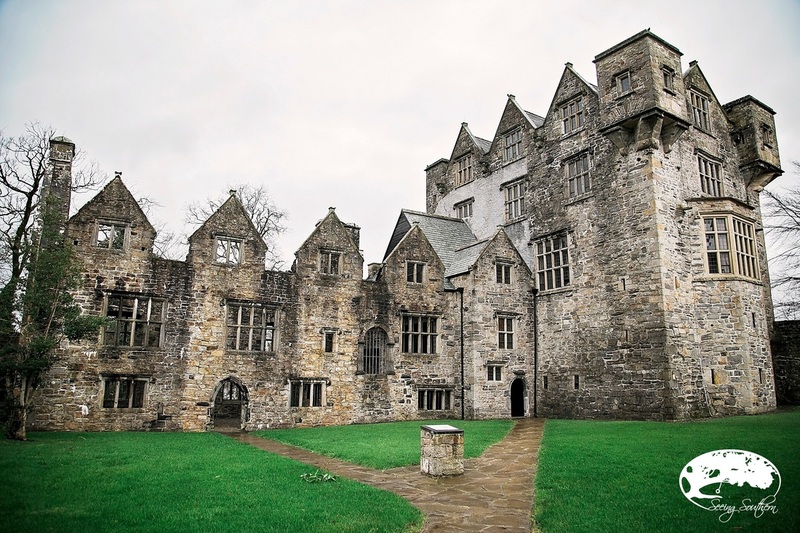 Situated like many other castles in the heart of downtown, Donegal Castle was built in the 15th century beside the River Eske. Part of the castle has been renovated and it is open for tours daily. One of the most impressive castles along our journey. We head toward Dublin from the north and must skirt through the southern tip of Northern Ireland. In the country just off the road, we do a double-take; an English phone booth sits immediately beside the road. What does any good photographer do? He turns around. Every now and then, a touristy moment creeps in. Before we fly away in the morning, we decide to visit the Guinness Storehouse. 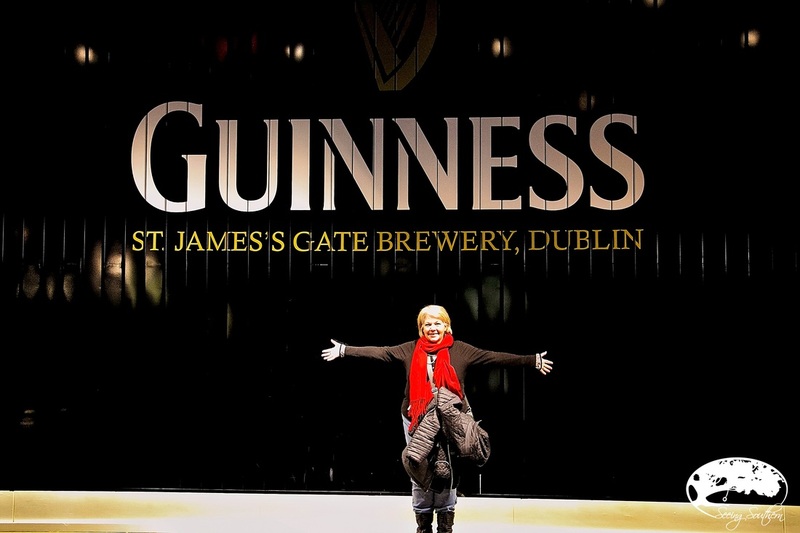 We've been told, "You must visit Guinness." Honestly, the McGann's pub in Doolin did more for the mystique of Guinness than the storehouse ever could. If you're curious, go see; if you want a little history, by all means. Our advice: save your 20 euro and find a pub. thank you for sharing this amazing journey with us. With gratitude . . .
We would love to hear your comments on our ireland jaunt . . .
Also, we're planning the next big adventure . . . where should we go? what would you like to know more about? we're listening . . .